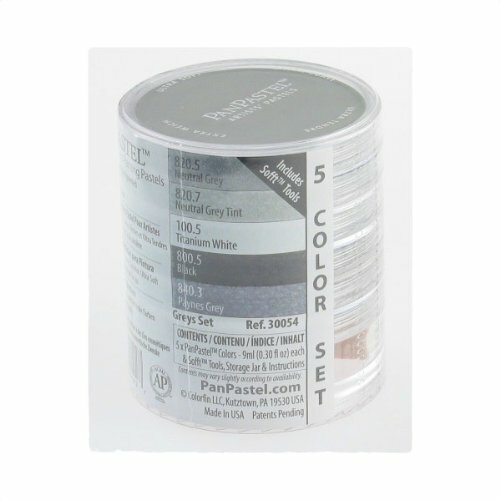 PanPastel colors are genuine artists quality pastels, uniquely packed in a pan format. They were developed so that artists can easily lift, apply, and control pastel color-just like true painting. The pan format holds the color like paint for easy application. Each panpastel is loaded with the highest quality artists pigments and have a rich, ultra-soft and low dust formulation. All of the professional-quality colors have excellent light-fastness, are fully erasable, and compatible with traditional pastel sticks, surfaces, conventional fixatives and other artists colors. This package contains five 9-Ml panpastels in coordinated colors and four soft artist's tools. Conforms to ASTM D4236. If you have any questions about this product by Panpastel, contact us by completing and submitting the form below. If you are looking for a specif part number, please include it with your message.